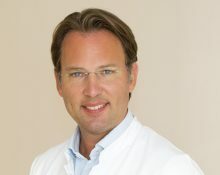 As a specialist for urology and andrology and as chair of the Austrian „Urologic Oncology“-working-group my professional main interest all kind of diagnosis and treatment of urologic tumors (i.e. diagnosis and treatment of prostate cancer, kidney cancer, bladder cancer). For any urological treatment I am able to offer robot-assisted-DaVinci-surgery!